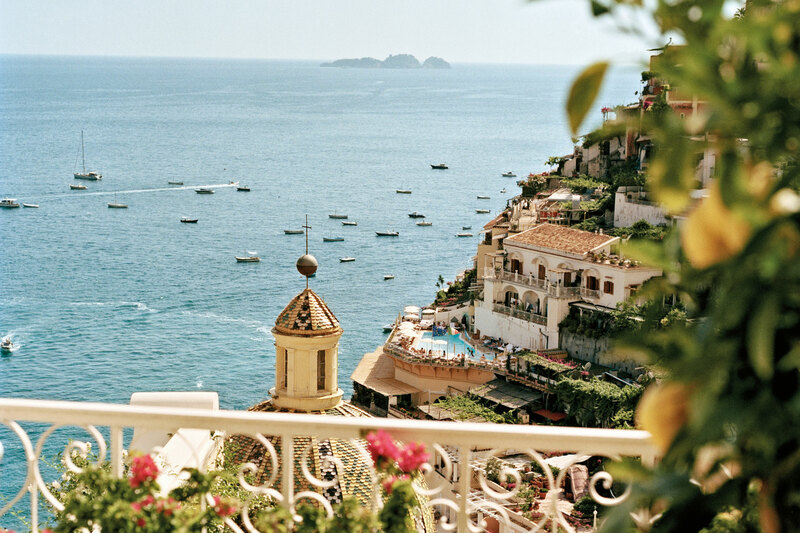 Positano, a very special place between Sorrento and Amalfi. This town is a must to be visited if you come to Campania. Once you arrive at the very top, by car, scooter, group tour or public transport, you will start walking down to reach the main beach. During your walking down, the little roads closed to traffic, will let you feel a magic atmosphere around you. Shops, flowers, colors and narrow lanes will introduce you to a culture that lives eight months a year, made of sun, good food, ceramics, linens, sandals and romanticism. The main beach is located at the center of the inlet, if you look up, you will admire the beauty of this place, houses and villas built on the rocks, all well preserved and finely decorated. Try to imagine the panorama from those windows, admiring the sea and feeling the breeze from it. On the right side you can walk, about 5 min, and reach Fornillo, a second beach located in the next bay, a nice place where to swim and have lunch or dinner. The way back to the top of the town can be done taking different lanes and steps.